What Went Wrong With Sabre Teams? Back in February, we took a look at the five most improved teams in Buffalo Sabres’ history to see what went right for them. The idea was to see if there were any lessons for the current team’s management as they plotted a path toward improvement during a poor season. That poor season is now over. You might be surprised that this past season’s Sabre team did not crack the all-time top five for a drop in winning percentage. It’s actually tied for sixth. New faces: Tony McKegney, Richie Dunn, Ken Breitenbach, Terry Martin. Departed: Jim Lorentz, Fred Stanfield, Ron Schock. What went wrong: The offense was more or less the same, as the big six forwards (Gil Perreault, Danny Gare, Rene Robert, Don Luce, Craig Ramsay and Rick Martin) were still good. The supporting cast changed a bit without too much effect. The defense, which was a little thin, saw Bill Hajt miss a half-season with injuries and Jocelyn Guevremont run out of gas. The team didn’t have the depth to compensate. What happened: The weight of previous playoff disappointments caught up with the team in 1978-79. A slow start led to the firing of general manager Punch Imlach and coach Marcel Pronovost. John Andersen and Billy Inglis were brought in as interim replacements, and the team exhaled and played well for the rest of the regular season. But a first-round playoff loss led to the hiring of Scotty Bowman as general manager and coach. He tinkered around the edges a bit and helped the team reach the playoff semifinals in 1980. New faces: Christian Ruuttu, Adam Creighton, Wilf Paiement, Clark Gillies, Scott Arniel, Ken Priestlay, Norm Lacombe, Tom Kurvers, Jim Korn, Shawn Anderson, Joe Reekie. Departed: Gil Perreault, Gilles Hamel, Gates Orlando, Ric Seiling, Sean McKenna, Pat Hughes, Mikael Andersson, Hannu Virta, Bill Hajt, Dave Fenyves, Larry Playfair. 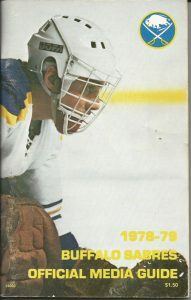 What went wrong: The disappointment of missing the playoffs in 1985-86 seemed to carry over into the following season. Gil Perreault and Bill Hajt left the scene, and some forwards saw their production fall off by more than 10 points. On defense, more than half the unit changed from the previous year, and Tom Barrasso’s games played dropped from 60 to 46. What happened: A terrible start doomed this team, and it also led to chaos on the roster and in the front office. Perreault retired early in the season, and Scotty Bowman – who had even jumped back into the coach’s spot for a while – was fired as general manager. The team added a few veterans to stop the bleeding, but they were little more than small bandages. The team played better under replacement coach Ted Sator (one game under .500), but he couldn’t prevent a last-place finish. The franchise did rebound the following year, though, and made the playoffs for the next eight seasons. New faces: Dale Hawerchuk, Mikko Makela, Rob Ray, Lou Franceschetti, Darrin Shannon, Greg Brown, Jay Wells. 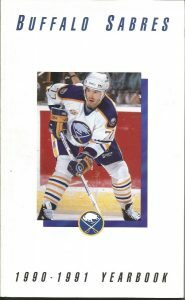 Departed: Mike Foligno, Scott Arniel, Kevin Maguire, Jeff Parker, Ken Priestlay, Phil Housley, Shawn Anderson. 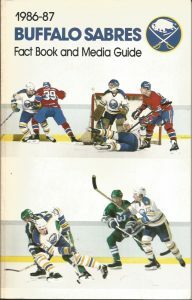 What went wrong: A great 1989-90 season had a sour ending because of a first-round playoff loss to a very good Montreal team. From there, it’s easy to think that trading a top defenseman for a top center would result in more goals scored and more goals against. That’s what happened, although it’s only part of the story. Hawerchuk did his part by leading the team in scoring, and Alexander Mogilny went past 30 goals for the first time. But the defense was left a bit short by the loss of Housley. Daren Puppa also couldn’t match his 1989-90 statistics. What happened: It was an odd season, marked by some streaky plan and the inability to return to the level of the 1989-90 team. Buffalo started 0-4-3 to set the tone. It won five straight in January to get four games above .500, and then lost six in a row. The season also is remembered for the trade of veteran Mike Foligno to Toronto – right after the team’s Christmas party. The squad would be blown up by General Manager Gerry Meehan, including the trade for Pat LaFontaine, the following season. New faces: Daniel Paille, Michael Ryan, Pat Kaleta, Nolan Pratt, Jocelyn Thibault. 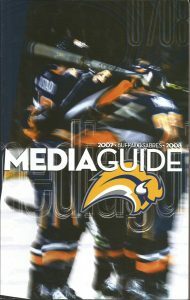 Departed: Daniel Briere, Chris Drury, Jiri Novotny, Teppo Numinen, Martin Biron. What went wrong: The league’s best team in 2006-07 lost two of its top three scorers. 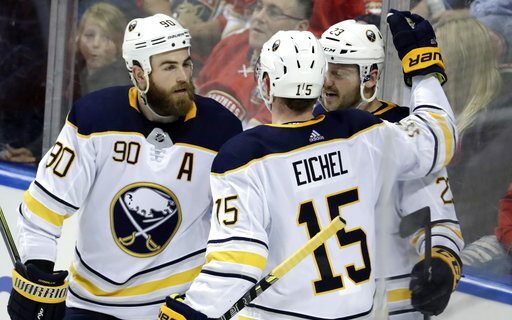 The result was almost predictable – the Sabres were no longer part of the NHL’s elite. The offense took a big step back despite improvement from Derek Roy, Jason Pominville and the returning Tim Connolly. The defense allowed the same amount of goals but dropped from 13th to 22nd in the league in that category. What happened: When the Sabres couldn’t re-sign Daniel Briere and Chris Drury – the heart of a team that had been to the conference finals twice in a row – every hockey fan figured out that the team would not be as good in the upcoming season. Every hockey fan was right. It wasn’t a terrible team, but it wasn’t a playoff team either – missing by four points. Buffalo has only had a winning percentage of .600 or better once since this drop. New faces: Matt Moulson, Zemgus Girgensons, Matt D’Agustini, John Scott, Cody McCormick, Andrew McBain, Henrik Tallinder, Mark Pysyk, Rasmus Ristolainen. Departed: Thomas Vanek, Jason Pominville, Jochen Hecht, Nathan Gerbe, Kevin Porter, Cody McCormick, Andrej Sekera, Jordan Leopold, Robyn Regehr. What went wrong: The Sabres had started the rebuilding process the year before with deadline deals of Leopold, Regehr and Pominville. They still finished at .500 in a season shortened by a lockout. The exits continued through 2013-14, and the details were depressing for the fanbase. More players left with little immediate help coming back. No player on the 2013-14 team had more than 44 points, and only four had more than 30. No wonder the team was last in the league in goals. The defense wasn’t much better, coming in 25th in goals against. What happened: If you are getting the idea that chaos is no recipe for success, you are right. This was the worst drop in team history. It wasn’t a good team at the start of the season, and became worse through trades. 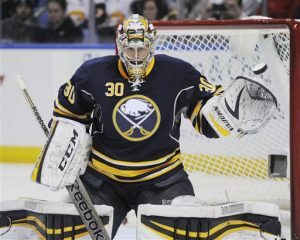 Ryan Miller, Steve Ott, Vanek Moulson and McCormick were shipped elsewhere during the course of the year. On the administrative side, Ron Rolston was let go as coach in favor of Ted Nolan, Darcy Regier exited as general manager in favor of Tim Murray, and Pat LaFontaine resigned as president the day after the Miller trade. The team hasn’t fully recovered from this particular collapse. New faces: Jason Pominville, Evan Rodrigues, Benoit Pouliot, Johan Larsson, Scott Wilson, Jordan Nolan, Jacob Josefson, Marco Sandella, Jake McCabe, Victor Antipin, Nathan Beaulieu, Casey Nelson, Chad Johnson. Departing: Brian Gionta, Matt Moulson, Marcus Foligno, Tyler Ennis, William Carrier, Derek Grant, Nicolas Deslauriers, Cody Franson, Dmitry Kulikov, Anders Nilsson. What went wrong: Too much. The offense scored two fewer goals than it did last season, but dropped from 25th to 31st in the league. The six top scorers had 293 points combined, a small improvement over last season’s total of 282. On defense, several roster changes didn’t seem to help much. Robin Lehner’s goals-against average went above 3.00 for the first time as a Sabre. The team lost 12 of its first 17 games and never recovered. And you may have heard about the team’s home record, the worst in Sabre history. A couple of NHL teams each year have more points on the road than at home, but Buffalo was particularly lifeless in front of its home fans. The Sabres also had little depth, which hurt when players went into slumps or were injured. What happened: The relative lack of chaos surrounding the team, especially when compared to the other years covered in this story, is striking. The team already had switched general managers and coaches in the summer, so there was no turmoil in that sense. So that made the crash even more unexpected and disappointing. General manager Jason Botterill made several changes in the non-nucleus group of the team (Evander Kane’s departure at the trade deadline is an exception), but less than half of the additions are likely to be back here next season. But the coaching staff and players deserve some blame too. This group of Sabres was always a bad bounce away from being defeated mentally. The hope is that the young players in the organization can lead a turnaround on the ice and in the players’ attitudes. We’ll see.